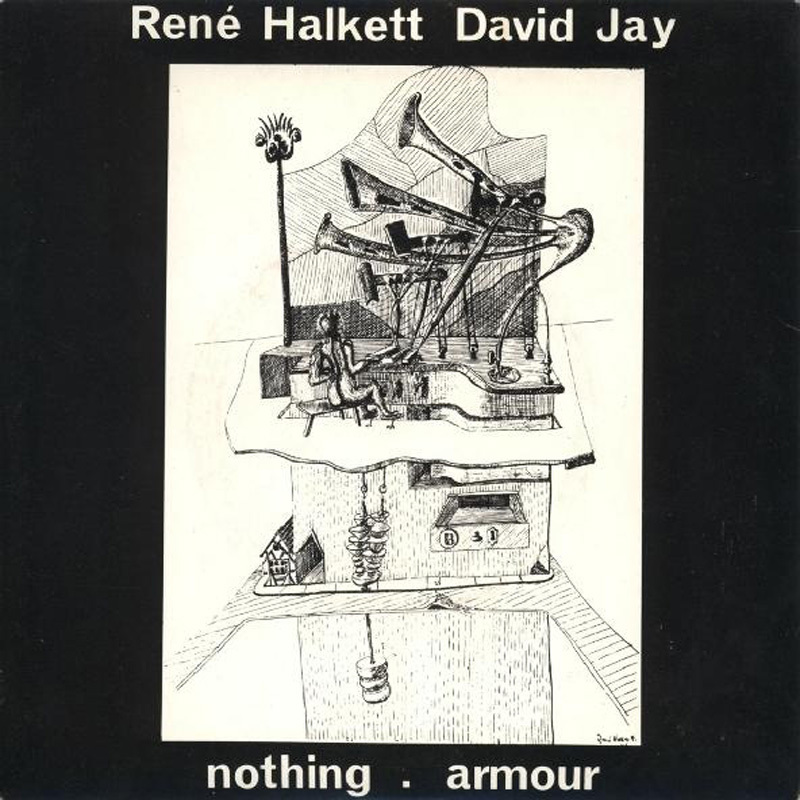 René Halkett (1900-1983) was member of the original 'Staatliches Bauhaus Weimar', and David Jay a solo artist and also a member of both Bauhaus and Love & Rockets. Together they released a 7" called 'Nothing' on 4AD. The words are Halkett's, recorded on a portable cassette recorder in his Cornish cottage on the 28th of July 1980. Jay later completed the record by recording the music at Beck Studio in Wellingborough on the 18th of April 1981.